We do not charge anything extra for our services or the treatment. We are paid by the hospital to make their Patient management easy and hassle-free. The services offered by our team at MediGence can be broadly classified into the pre-treatment, during treatment, and post-treatment phase. We help you seek an Expert Opinion on your diagnosis and treatment from an experienced team of doctors at MediGence and specialist from a reputable hospital. We recommend you a hospital or a healthcare institution that is best suited for you, based on your ailment and its criticality. We give you a transparent and a holistic view of the hospital and its infrastructure, accreditation, facilities, and expertise to give you confidence. We share a comprehensive profile of the treating doctor and also arrange a call with to clear queries regarding treatment if needed. Based on your choice of destination and other preferences, we provide you multiple options with respect to hospitals and doctors to choose from. A dedicated patient case manager stays in constant touch with you to help you at every step of the decision-making process and resolve queries that you may have. We give a clear and accurate indication of the total cost of treatment including treatment, stay, meals and other expenses. We provide and help prepare documentation for visa approval and coordinate with the embassy to expedite the visa process. We propose to you a choice of accommodation based on your preference such as long stay, short stay, or luxury properties. In partnership with the selected hospital, we provide Commercial Airline as well as Charter Air Ambulance with proper Medical Team and Stretcher Services for very critical cases. We help arrange and coordinate a complimentary airport pick up in an AC cab or an ambulance, as required. A patient care manager is always available around the clock to help with your medical case and manage everything from hospital coordination to doctor appointments and billing. Based on the initial evaluation by the doctor and the investigation results, we coordinate the updates in billing if there are any changes in the course of treatment. We arrange for an on-ground Interpreter (if needed) to bridge any communication gap with the hospital staff and the doctor. We arrange for meals according to the personal preference of the cuisine. We also offer leisure and wellness packages to patients and their families who are interested in exploring the nearby places to relax and rejuvenate themselves. We offer comprehensive health screening packages at special rates for the attendants who travel with the patient. We fetch all the final bill copies, scans, reports, discharge summary and handover them to you at the time of discharge. We organize physiotherapy sessions, if required, based on the doctor's recommendations and also organize follow up sessions between the doctor and the patient to track progress after treatment. We help arrange and coordinate a complimentary airport drop in an AC cab. We help get all the necessary medications as prescribed by the doctor before your return to the home country. 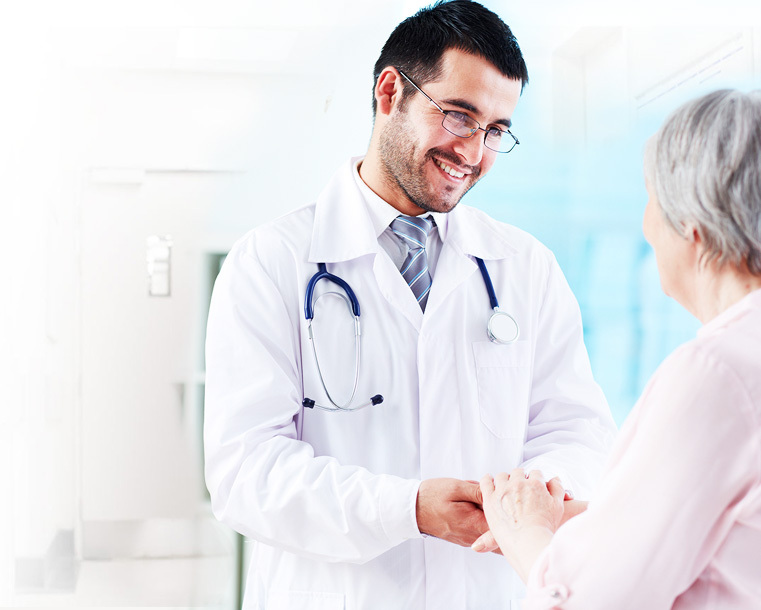 The Patient Care manager at MediGence helps arrange follow-up sessions with the doctor in the future after your return and stays in constant touch for any support as required.